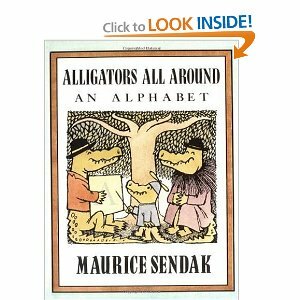 ALLIGATORS all AROUND Links, facts, crafts & also alligator titles in story & song. from SHE SANG PROMISE: The Story of Betty Mae Jumper, Seminole Tribal Leader. 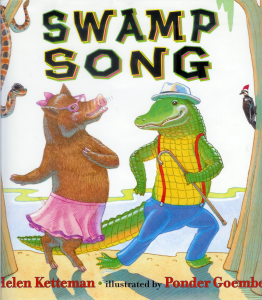 One of the many amazing aspects of Betty Mae Jumper’s life is that she wrestled alligators. This is explained in She Sang Promise. For more on her, look here. How many times is in the United States is alligator used in a place name? Use a favorite place name or gazeteer source to learn the answer. Trick question: Are alligators green? SOUND BITES: Alligators are one of the few repitiles that make a vocal sound. What is their talk like? Click on AUDIO at the National Geographic link for some gator sound bites. A letter-perfect Alligator CRAFT. Thank you No Time for Flash cards by way of MS. HEGNA’s STORYROOM. 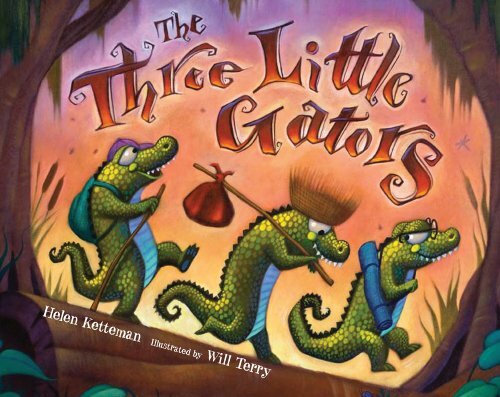 More ALLIGATOR crafts are here and also try, here. Hooray for Amanda and her Alligator, by MO WILLEMS a portrait of the relationship between a girl and her stuffed alligator.